Around the time that chimney smoke begins to fill the air and Christmas trees pop up in windows, a shift begins to take place in every living thing. Habit embedded deep in the strands of our DNA sends us seeking comfort in the form of flesh, blankets, hot drinks, and family. Even the Ebenezer Scrooges of the world feel that primal need brought on by the cold, and while money can’t buy all of those luxuries, it can buy the Cadillac CT6. It didn’t take long for me to come to that conclusion after a bout of flirting with the 2017 CT6 Platinum that was mine for a week. I had been excited for the car for quite some time because as the brand’s flagship, the CT6 is the thesis of Cadillac’s reinvention, a report card telling us where GM’s $12 billion investment went and how well it was spent. Cadillac and Lincoln have commonly been known for rebadging leather bound Chevrolets and Fords, but the nature of capitalism meant that customers eventually saw through the veil and flocked to the competition. A peak at the inner workings of BMW and Mercedes yielded a new breed of Cadillac, one who’s character was conveyed through my fingertips and my bottom the instant I shifted into Drive. For a 4,371-pound beast that hardly fits within the footprint of the BMW 7 Series and Mercedes S-Class it competes with, the CT6 handles with an athletic agility usually found on cars tuned on race tracks and graced with skinnier bodies. Cadillac’s chassis tuners have truly pulled off a marvel of engineering by supplying the CT6 with a supple ride that lowers the pulse when cruising but can be coaxed into doing stunts with the agility of a parkour master if the driver wills it. Masquerading such a hefty weight is an art, but it’s not done using some form of dark magic. Instead it's the features, like four-wheel steering, which shrinks the car’s turn radius and helps it lean into corners at low speeds, that do the trick. The CT6’s adjustable Magnetic Ride Control system is also to thank, but the main star of the show is GM’s Omega platform that does a good job of dividing weight evenly across both axles. Thanks to the aforementioned driving aids and an all-wheel drive system, cornering confidence rises from behind the leather wrapped steering wheel, matching the personal confidence boost I got from sitting inside a car as pretty as the CT6. The only time that confidence wanes is also the only instance where the CT6’s weight becomes apparent: when slamming on the brakes at high speeds and using up more stopping distance than the featherweight chassis mirage would have one believe. I was fortunate enough to have my Crystal White Tricoat CT6 spec’d into the upper echelons of Cadillac trim, which meant that it had GM's 3.0-liter twin turbo V6 under the hood. The 404-horsepower unit, designated by a “3.0 TT” badge resting on the automatically operated trunk lid, sends its power to the shiny rubber wrapped 20-inch alloys (a $2,095 extra) via GM’s eight-speed automatic gearbox. Like many engines that rely on exhaust gas pressure for extra grunt, the CT6 is plagued by turbo lag, but once the turbines are spooled, power comes rushing out of the floodgates and once again belies the sedan’s rated weight with brutishly powerful acceleration. The turbo lag, as I learned, requires some brain contortion in order to prevent instances of mashing the throttle to exploit a gap in traffic only to find that, after a second of wondering if the engine registered the command, the CT6 responds by delivering so much twist that it threatened to maul the car in front. This can be mitigated by setting the drive mode selector (complete with a Touring, Sport, and Ice/Snow mode) into Sport mode where it holds gears longer, sharpens the throttle response, and noticeably stiffens the suspension to ready the CT6 for the corners. Speed freak that I am, I spent almost my entire week with the Cadillac in Touring mode. Though forceful acceleration and sublime cornering ability is baked into the CT6, the comfort supplied by the ride and Jet Black leather seats is its shining quality. CUE, which is usually harshly reprimanded, was fairly responsive and easy to navigate. Cadillac (thankfully) left the 10-inch infotainment display as a touchscreen, but it also added the option to interact with the system using a touchpad selector, the same type I learned to loathe in the Lexus RC-F. Other touch sensitive controls include the volume slider, hazard lights, and self-parking application, although the CT6 could have used a dedicated camera button. I frequently had to dig into the menus to find the 360-degree view parking aid in order to avoid scratching those gorgeous rims. I found one of my favorite features on the CT6 by accident during a scenic drive to see if the Caddy could double as a remote living room. Parking the car on a hill overlooking the Bay Area one foggy night, I hopped in the back and activated the seat massagers (I should mention that all four seats have massage functionality and can be heated or cooled). After raising the rear and side window shades, I found a remote in the center armrest while trying to open the rear portion of the split panoramic sunroof. A press of the on button was all it took to reveal two retractable screens hidden behind the front seats. After connecting my laptop to the onboard Wi-Fi, I was able to stream Netflix or pump Spotify out of all 34 Bose speakers. To say the least, it’s easy to turn the inside of the CT6 into a personal relaxation cocoon with relative ease. With that level of detachment, and that push-button massage seat, it’s easy for a driver to let their mind wander elsewhere. That is why it’s a good thing that Cadillac included driver aids like blind spot monitoring, pedestrian detection, forward collision alert, rear cross traffic alert, a night vision camera, lane keep assist with lane departure warning, and front and rear auto braking. This helps given that aside from the drive, the CT6 feels as big as a house. It costs as much too with my tester sliding in at $91,580 with the $995 destination and handling charge tacked on. But is it all worth it? Well, that depends on a few variables because unfortunately, the CT6 is far from perfect. Months ago we tested a Cadillac XT5 and found it a bit rough around the edges, lacking in the level of refinement one would expect on a top trim luxury vehicle. Ride and features aside, the Caddy was plagued by some of the same problems we found inexcusable in the XT5 and in all cars priced that high. For example, the interior trim panel covering the C pillar had come partially undone, exposing wiring underneath. The buttons and parts of the center console all felt as special a Chevy's, and worst of all, with less than 2,000 miles on the odometer, my test vehicle had developed an annoying interior squeak that you could hear when going over bumps. That issue, which us seemingly unique to many American cars, is hard to find on sub $25,000 Volkswagens. In short, if these things bother you as much as they bother me, then you can equate the Cadillac CT6 to the perfect partner, good-looking, caring, honest, and ambitious, except for the fact that they happen to hate small children. If you can overlook these things then there are few compromises that the CT6 makes. 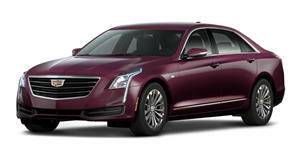 However, the CT6's faults convey the message that Cadillac didn’t spend its $12 billion in a well-rounded manner. It’s easy to see that the engineers toiled over the chassis and suspension tune while the designers pained over the styling, but the bigger picture is still missing. Unlike the Genesis G90 that we recently tested, the CT6 has plenty of character and identity, but what the Koreans have learned from the Germans is a lesson that Cadillac (and GM as a whole) must learn ASAP: that the little things matter. How a button press feels, whether the final inspection involved simply passing a checklist to get the car out of the factory or truly ensured that it was built as solidly as possible. These things matter to the luxury buyer and more importantly, to the brand's image. GM is so close to amending the sins that brought the giant to its knees in 2008, but it just needs make sure its cars stop leaving the factory slightly undercooked if it truly wants to succeed.